The objects below have been sold and are left here for educational and research purposes. Mossi art takes several major forms. 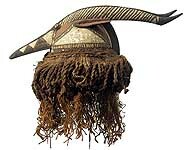 Small figures that we call "dolls", posts, flutes, staffs, doors, heads and many varieties of masks and headdresses attest to the range of creativity and skill of traditional Mossi carvers.